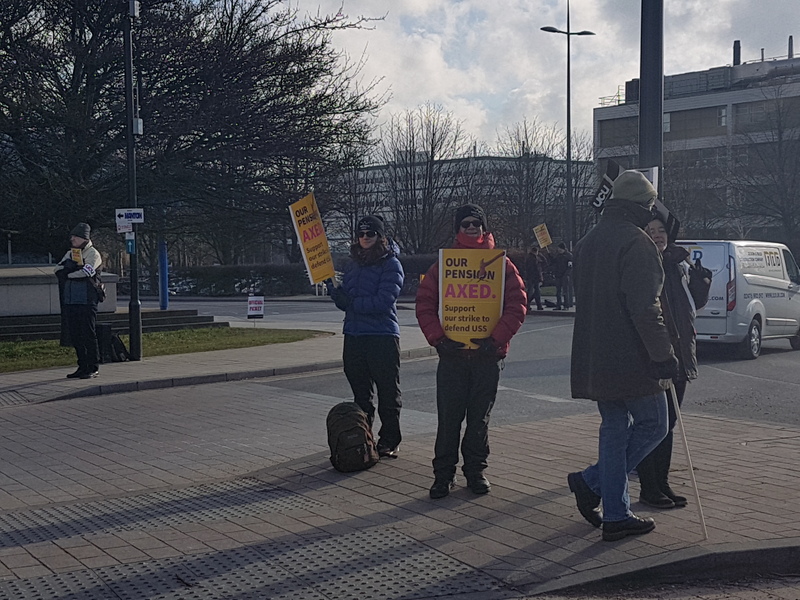 It’s minus 2 degrees, but the pickets carry on. 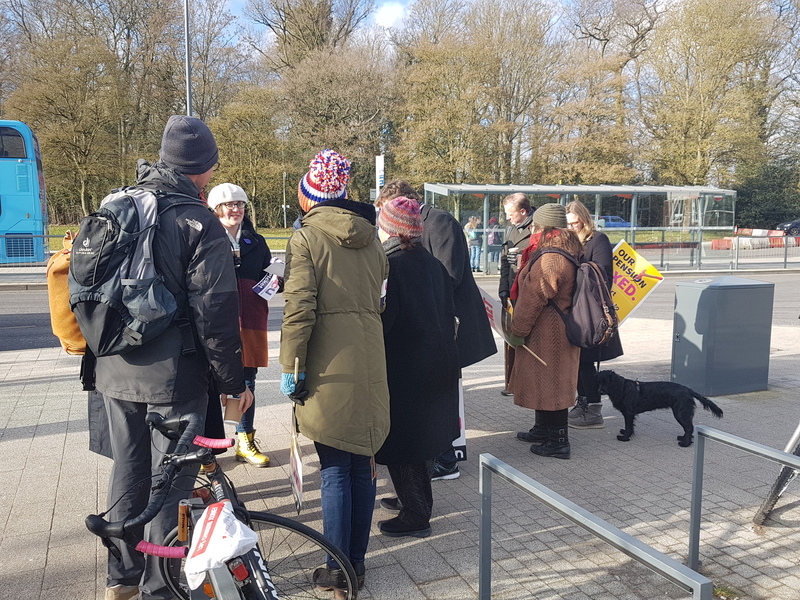 Numbers are strong with pickets at Westwood, Gatehouse, Gibbet Hill, between Social Studies and WBS, as well as the main picket at the Bus Exchange. There is a real sense of determination from our members. Jim Cunningham visiting the picket this morning. There is a strong turnout from casualised staff today as we have declared it the anticasualisation picket day! 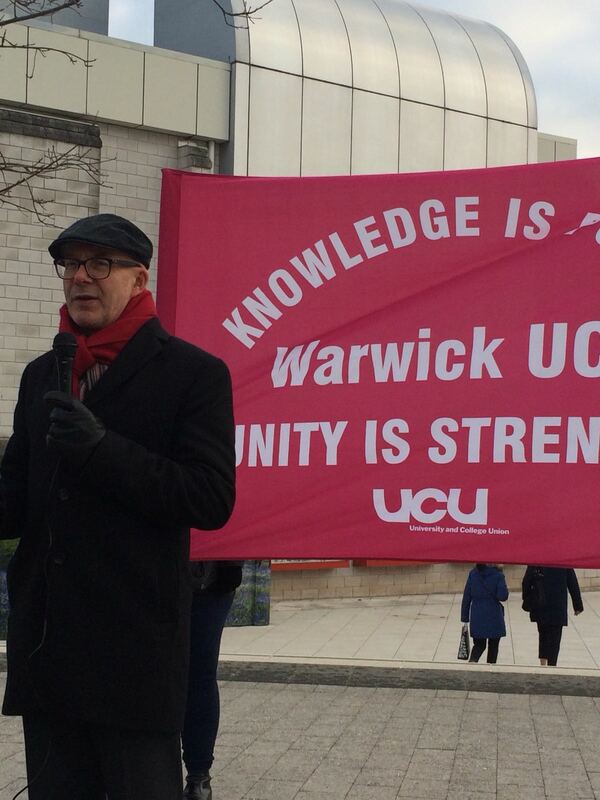 Our anticasualisation officer reminded everyone that 70% of teaching staff at Warwick are on casualised contacts. Solidarity with the National Education Union who gave an inspiring speech. Left behind as the rest of the picket heads off in the direction of a promised picket line hot chocolate! Keeping warm with some invigorating exercises! Work those glutes! 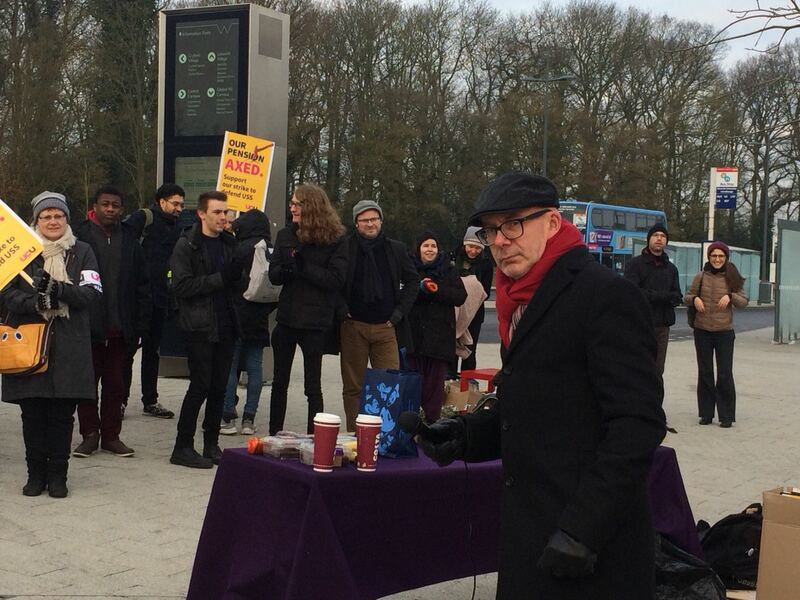 Another bright frosty morning on the campus picket lines with another strong turnout of UCU members and students in solidarity. 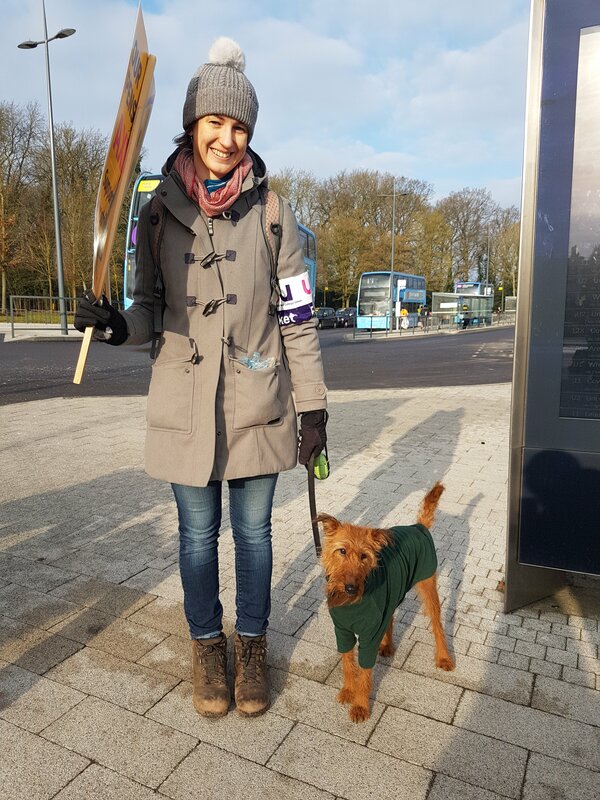 And of course, dogs on the picket line! Matt Western, MP for Leamington and Warwick, spoke to the assembled crowd. Banner making achieved new heights. Fantastic energy from participants culminating in a chant! There was an amazing turnout this morning, with pickets setup across the University campus entrances. 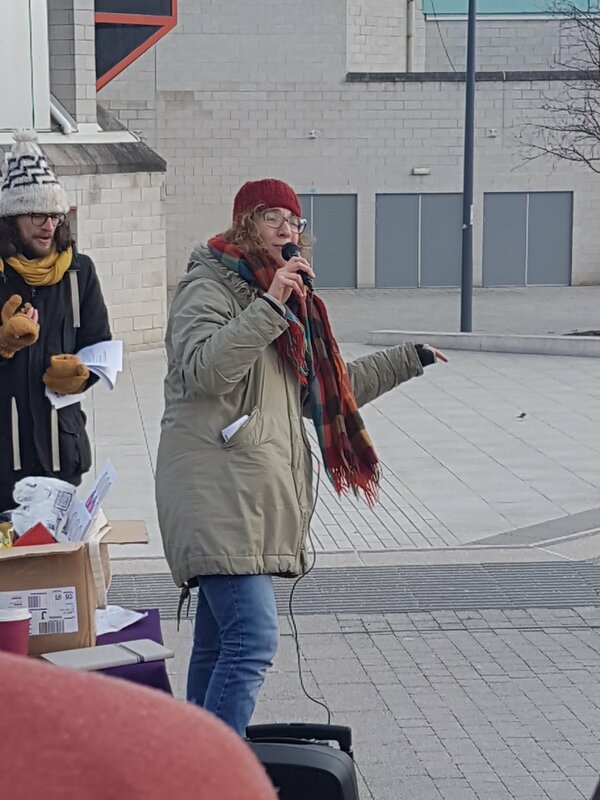 We have had great support and it was fantastic to see so many people here on a cold but bright Thursday morning although maybe not so surprising with 91% of voting members voting for strike action. 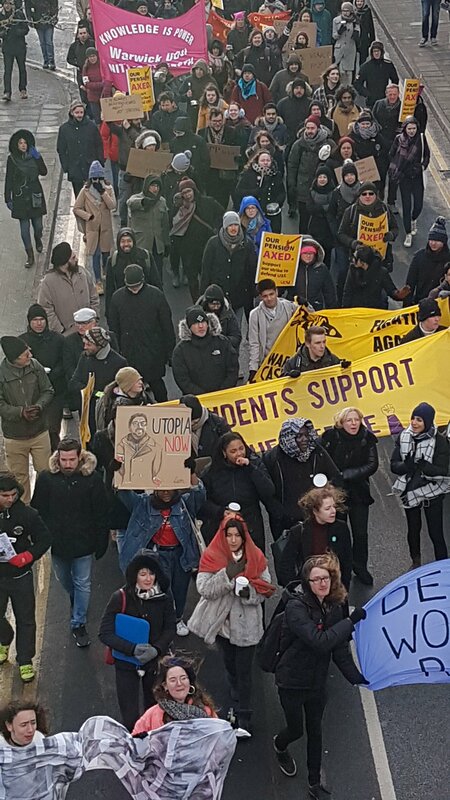 Version 2: 20/02/2018 (The info here will be regularly updated, check warwickucu.org.uk for updates!) PDF available here. Please feel free to forward this to any of your colleagues that are not in UCU. Note that, unlike the national FAQ’s, these are not checked by union lawyers. If in doubt, always refer to the nationally available information or double-check with UCU. I am contracted to teach at Warwick through STP / VAM. Can and should I participate in the strike? If you are a UCU member, the union very strongly urges you to take strike action. And there are many reasons for that – some of which we have already addressed in a previous email (see also here for UCU’s briefing note for casualised staff). 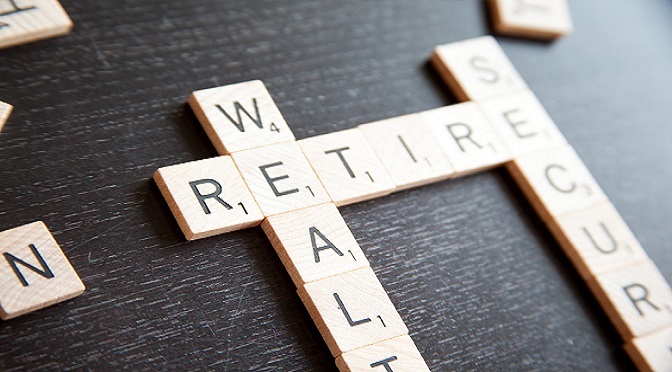 The key point is that as someone at the beginning of your career, you will be particularly affected by the proposed changes to the pensions scheme), since you will have little to no benefits accrued under the current system. Staff towards the end of their career, on the other hand, are less affected as they will still receive the benefits they have built up under the previous scheme. If you want to find out more about the dispute (and there is still time for that), there are some links in the strike dates and resources document. We cannot emphasise enough how important this issue is for UCU and for the future of UK Higher Education as a whole. 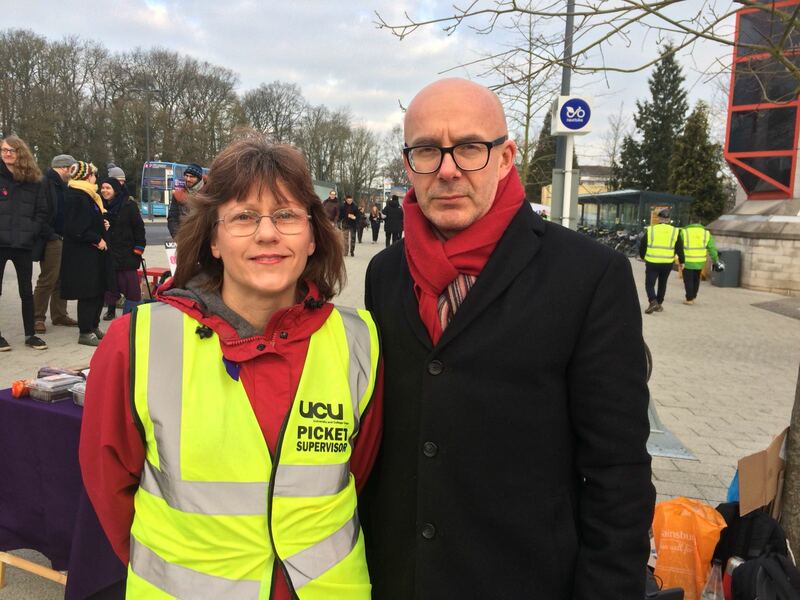 As you will have noticed, the plan of holding 14 days of strike is far more serious that any industrial action UCU has taken in the last decades. This shows the gravity of the issue. Once the defined benefits scheme is closed, it is closed forever and there is no turning back. This is unlike any other dispute we have had. This also raises the stakes of this dispute to an equally unprecedented level. It is very important for this strike to be successful and to have high rates of participation: otherwise, our very ability to put pressure on the employers in any future dispute will be undermined. I am not a UCU member. Can I also strike? 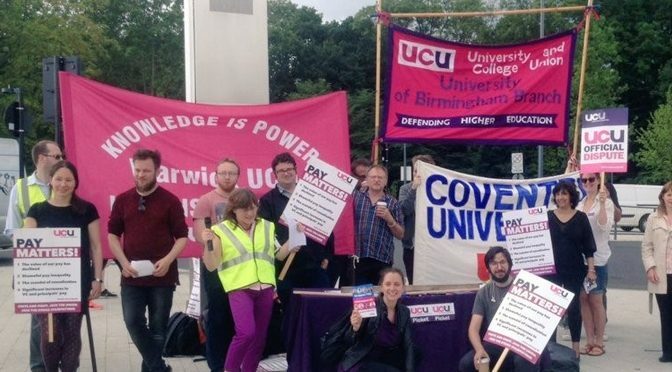 In order to strike, you have to be a member of UCU. But you can, and in our view should, join UCU. 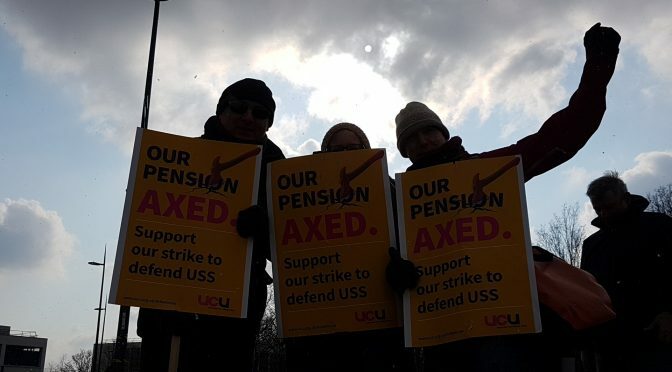 It’s not too late to join now – follow this link: https://www.ucu.org.uk/join, fill in an online form and it is done. You can do it up to the day of the strike, including on the picket line, and you will be covered by the dispute. 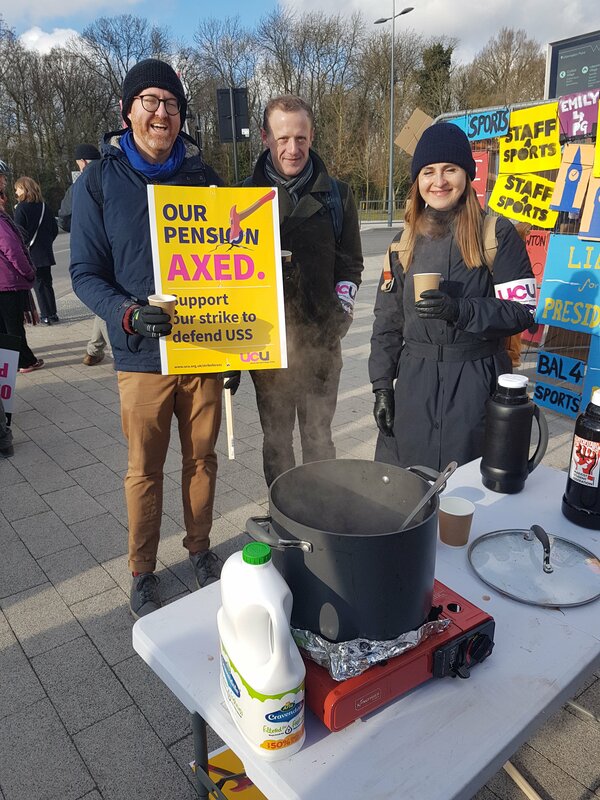 As a UCU member, you are protected from victimisation and retaliation, you have access to strike pay, and there are multiple other benefits as well – including and most importantly the solidarity of your colleagues! If you are a postgraduate who teaches, it is free for you to join UCU – but make sure that you join as a full member, not as a student member. 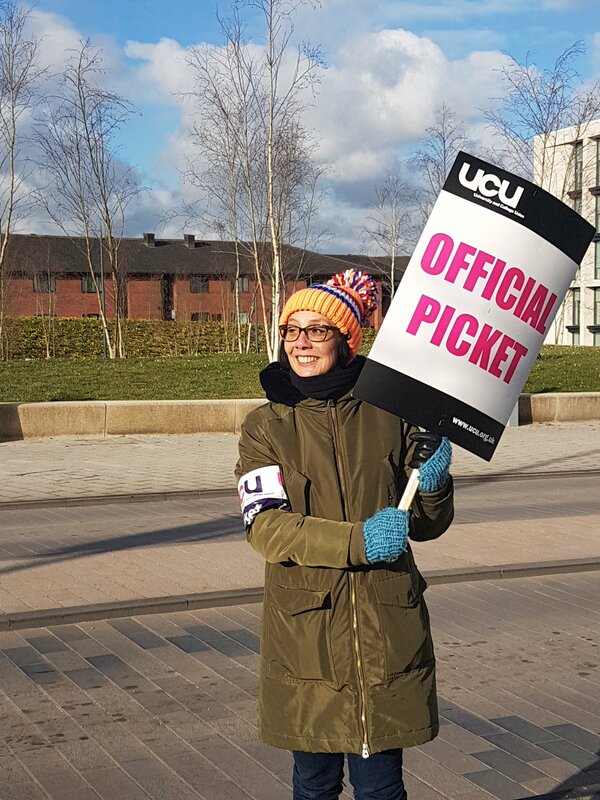 If you are a student member but you also do teaching, upgrade your membership NOW to the full membership so you are covered by the dispute and entitled to access strike pay. This upgrade is free if you are a PhD student who teaches. If you are not a PhD student, the membership fee for the lowest earning band is very low – around £1 a month. I fear that participating in the strike will make me vulnerable towards my head of department. What if they hold it against me next time I apply for a job, or when my contract is up for renewal? 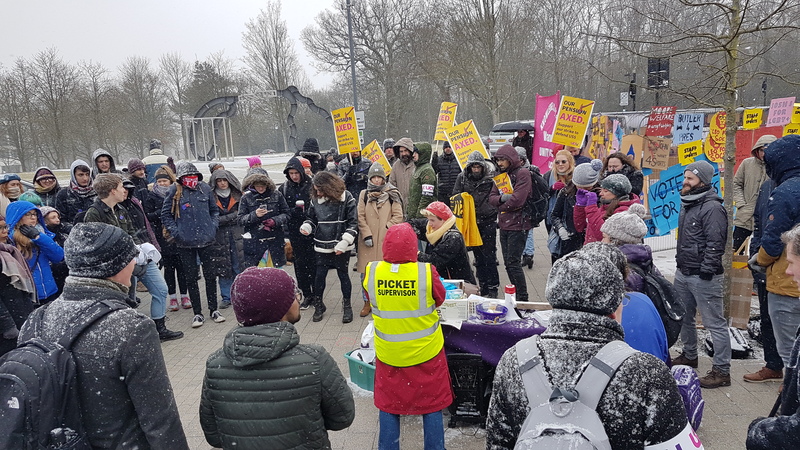 Warwick UCU is writing to Heads of Departments to remind them not to use any intimidating practices towards staff in order to prevent them from striking; and to make them aware that the UCU will be monitoring how departments treat staff who take part in the strike. 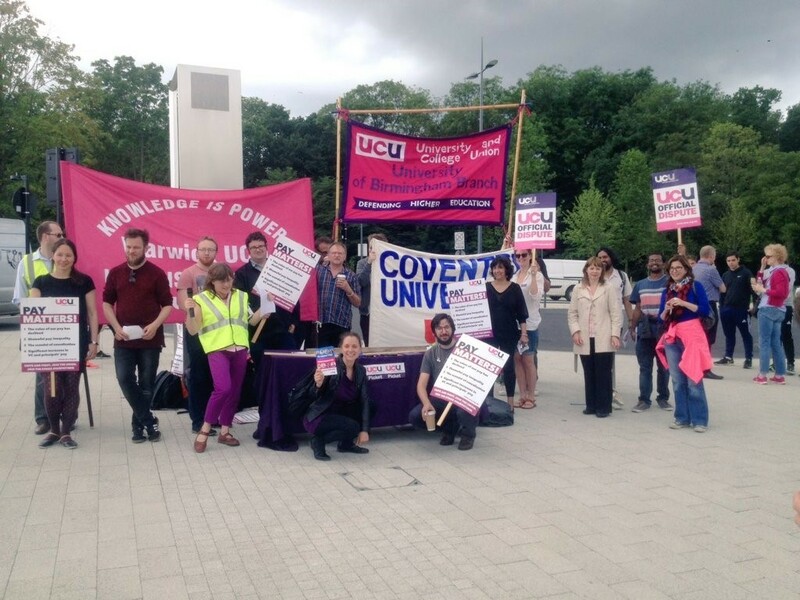 If any evidence emerges that staff who have participated in the strike experience different treatment in the future, or are disadvantaged for future contract renewals, we are telling Heads of Departments that the union will be taking action against these practices in order to protect our members. 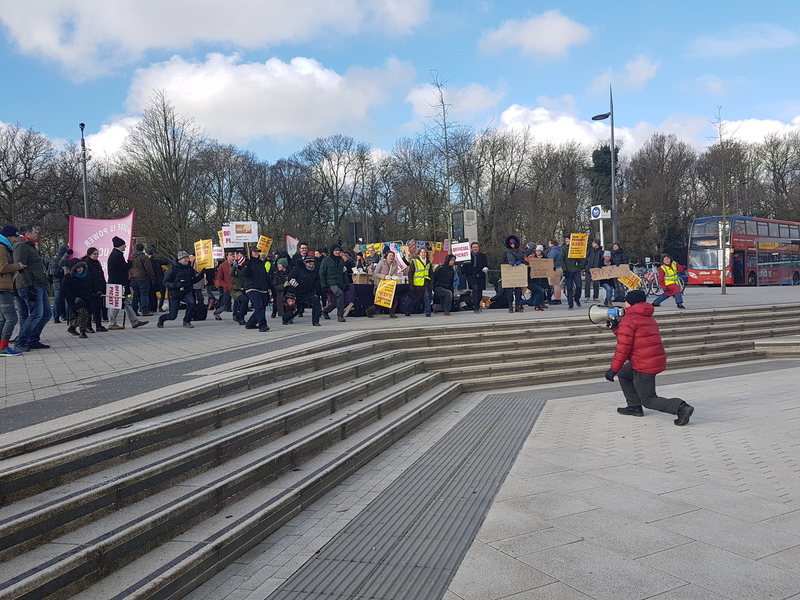 The Provost has agreed that STP workers and fixed term employees should not suffer any detriment as a result of the strike action and she will reiterate this message to Heads of Departments. We have made clear to the Provost that we will be closely monitoring contract renewal rates in the coming academic year in relation to those who have taken strike action. We are writing to the Vice Chancellor, who has publicly expressed his opposition to UUK’s plans to change the USS pensions scheme, and we have called on him to show his support for the strike by emphasising in his communications with Heads of Department that any mistreatment or intimidation of staff partaking in the strike will not be tolerated. The more of us that take strike action, the less likely it is that individuals can be victimised. We therefore strongly advise you to communicate with your colleagues and your departmental UCU rep and to set up a departmental meeting to prepare for the strike and convince your colleagues to participate. If you need any help in setting up a departmental meeting, write to us and we will try our best to help facilitate a meeting. If I participate in the strike or take action short of strike (ASOS), how much pay will I lose? This is a very important issue especially for casualised staff – whether hourly paid or fixed term. Staff on regular full-time employment contracts risk 1/260th of their pay being docked per strike day (or a pro rata proportion if they work part time). For hourly paid staff, (STP/VAM), it doesn’t work in the same way. In a meeting with management on Friday 9th February we were told that the procedure they are going to apply is the following: tutors should fill in the time sheet honestly, only for work that they have done, and they will be paid according to the hours they submit. Strike pay deductions will thus be applied on the next relevant monthly payment after timesheets are submitted. That means, of course, not to claim contact hours that have not been delivered; other elements can be claimed if the work has been undertaken. The only potential challenge to this would be if departments receive repeated claims for preparation “where there is clear knowledge that the contact hour will not be delivered’ e.g “during a period of total strike absence“ (quote from HR email). Tutors can be asked, but should not be expected and cannot be required, to do additional (paid)work. This means, for example, that HOD’s can legitimately ask you to teach week 7 rather than week 10 content in a week 10 seminar which would be going ahead (e.g. if the strike is cancelled in week 10). But while HoD’s may ask you to reschedule teaching missed during strike weeks (which then would have to be paid), you are in no way obliged to accept doing so. If you experience pressures to this effect, let us know immediately. HR have also confirmed that once payment has been authorised, there will be no retrospective reductions (or additions). In addition, we would advise you to use the comment function on timesheets to clarify the way in which the strike has affected your payment each week, both for departmental approval and for hardship claim. 5. Is there a way I can be compensated for my lost earnings? Regardless of how pay deductions are calculated, we know that for hourly paid tutors and staff on part time / short fixed term contracts the proportional loss of pay from participation in strike action can be much higher than for regular members of staff. 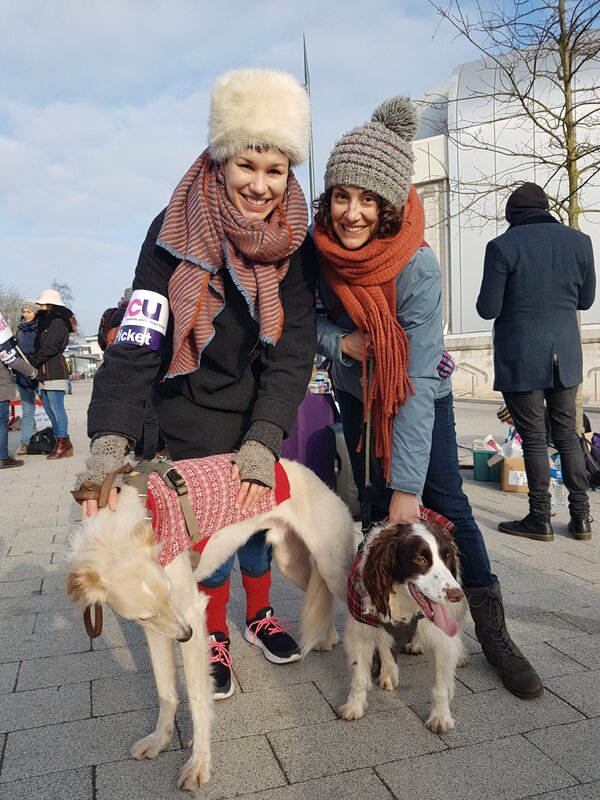 The good news is that there is a central strike fund for those in need (the UCU ‘Fighting Fund’) that you can apply to in order to receive strike pay; and members on casual contracts are prioritised for applications. The link to the rules for applying and to the application form itself are under “Resources” below – make sure to read this before taking strike action. 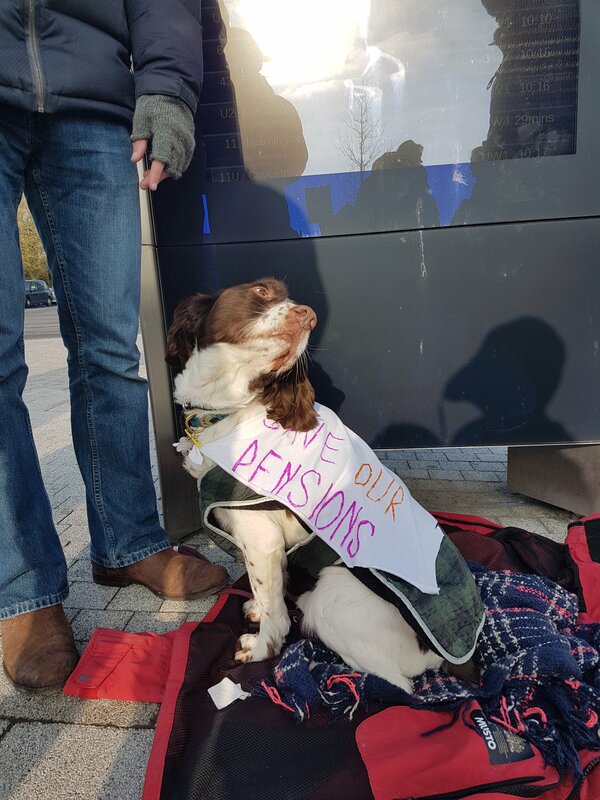 However, the amount that the national strike fund covers is limited to £50 per day starting from the fourth day of strike action (so the first three days are not covered); and to a maximum of £500 per person in total. As per the latest UCU guidance: “Casualised staff who are paid to teach but whose pay also includes allowance for marking and preparation will be paid appropriate strike pay for each day where they can show evidence that they struck rather than worked and where this working pattern is confirmed by the branch”. That also means that each day that you participate in the strike – by not undertaking teaching, marking, preparation, advice duties – will be considered as a day of strike participation for the purposes of the strike pay fund. We have received guidance that there will be flexibility applied in the evidence that casualised staff will be asked to provide to the Fighting Fund in order to show their income losses related to the strike, and that claims will be considered favourably as long as they are supported by the branch – also in consideration of the fact that the earning patterns of hourly paid and casualised staff may vary from month to month for a variety of reasons. Possible forms of evidence could be: a pay slip for the month of the strike showing lower earnings compared to a previous pay slip; evidence of timesheets submitted with no hours claimed on strike days as opposed to other weeks; or a combination of timesheets/ pay slips compared to the hours outlined in your contract (if you are just starting to teach this term and don’t have a previous pay slip to use as a comparison, for example). 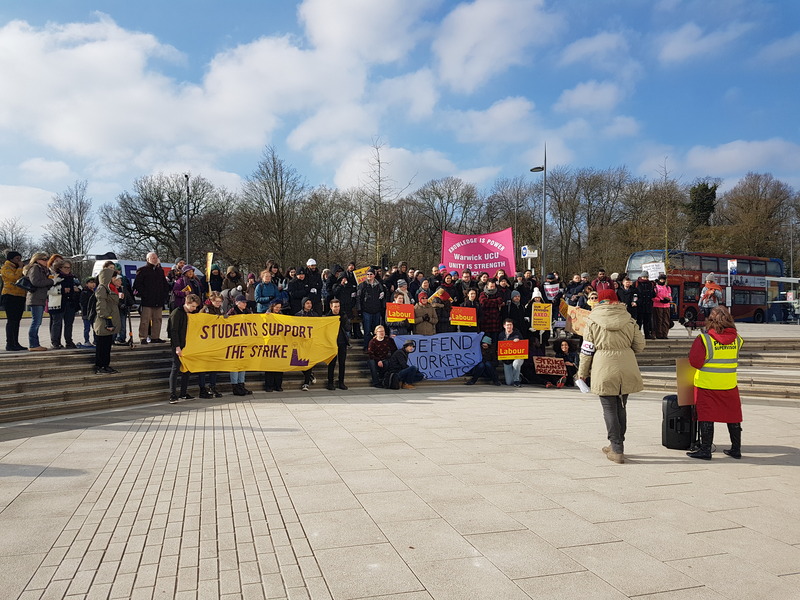 Warwick UCU AGM voted, on 07/02/2018, in favour of setting up a local hardship fund alongside the national strike fun that casualised members of staff will be able to apply to. Committee is still looking into the practicalities of the fund. AGM has also voted to donate as much money as possible to both the national and the local strike fund, and are looking into ways of raising further funds. We are currently working on detailing the local hardship fund procedures and application processes. We will hopefully be able to circulate guidelines before the strike commences (after the UCU committee will have met to approve); but in the meantime, we can confirm that the local hardship fund will be able to cover (some) of the (some) of the income losses incurred already from the first day of strike participation. The resources below include a link to the rules of application to the strike fund, and some further tips for casualised groups. We are not able at this stage to confirm how long it will take for strike pay claims to be processed. If you envisage that you will be suffering immediate hardship as a result of strike pay deductions, get in touch with the branch. We will try to help by supporting an early application to the UCU national Fighting Fund even in the absence of a payslip from next month showing the difference in income. reschedule my seminar / lecture? We encourage you to talk to your students about the strike and explain why you are taking action and why this is important. 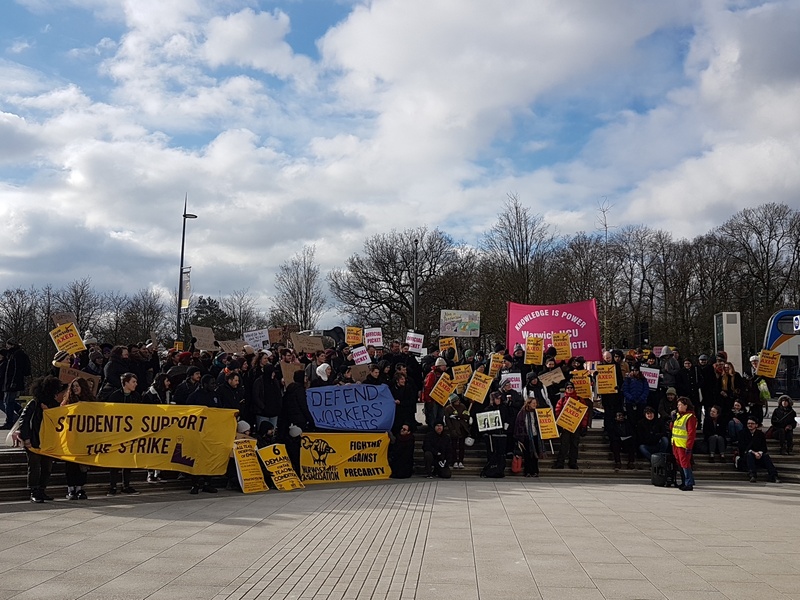 UCU has resources available here (https://www.ucu.org.uk/why-we-are-taking-action-over-USS) to explain the dispute to the students. 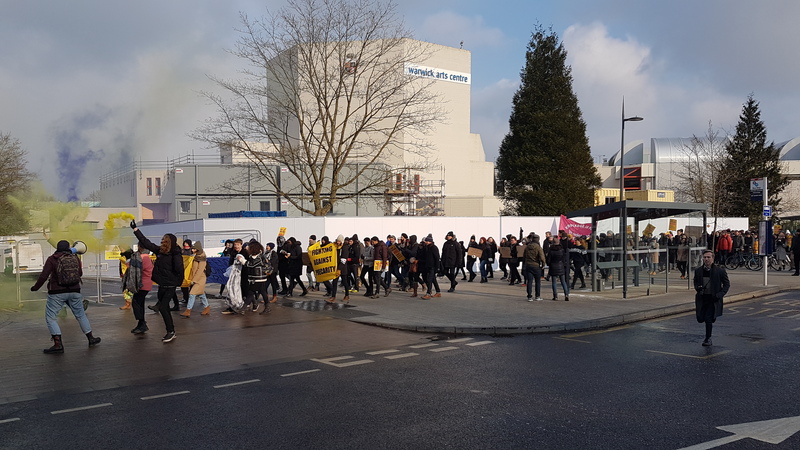 There are also FAQs for students written by staff at Warwick available here and various amazing resources on the ‘Warwick Student-Staff Solidarity’ facebook page. 7. Do I need to notify the employer before going on strike? 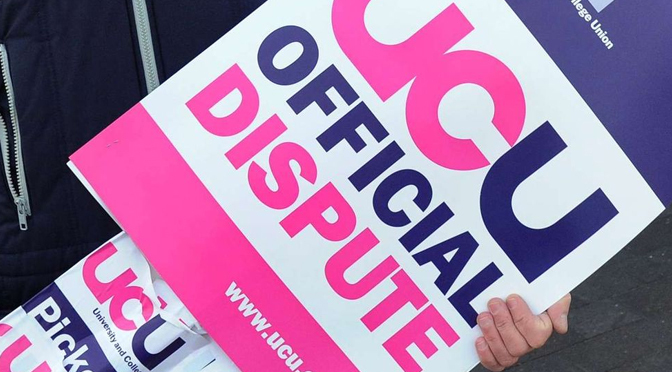 UCU’s advice for those who are employees (with a full employment contract) is not to notify the employer, as there is no obligation to do so, and notifying them would allow the employer to take action to minimise the strike impact. However, for those who are classified as workers, this is different. STP contracts explicitly ask workers to notify in advance if they will be participating in strike action. The University has unfortunately refused to drop this request which considerably discriminates against STP tutors’ right to strike. We advise that you call as well as email (to leave a paper trail that you can later evidence). It is up to you whether you do it just one hour in advance of your work on the relevant day, or, say, at 8 in the morning – when it will be clear whether the strike on that day will be going ahead or not. I herewith notify you that I am taking part in the strike action, called by the UCU, today, [INSERT DATE]. We have received some inquiries how the strike will affect students / employees on Tier 2/4 visas. If you have any questions about this, contact us, and preferably the University’s Immigration Service (students) or HR Recruitment and Immigration team (staff) , asap. If you are unsure in any way whether taking strike action will affect your visa status, we would not recommend you to take strike action. Check that your UCU membership is up to date. This includes making sure you’re a full member, not a student member. Or: join the union if you’re not already a member! Talk to your colleagues and encourage them to join in to take strike action (and to join the union) and to not cross picket lines on strike days. Write to your students encouraging them to support the strike by not crossing picket lines on strike days. An email template for this purpose in the coming days is available on the warwickucu.org.uk/pensions page . Set up an out of office email reply explaining that you are on strike and that you will not be answering emails on strike days, or, even better, that you will be deleting all emails coming in on a strike day, and that emails should be resent on non-strike days. 10. What happens on the days of the strike? Come to the official UCU picket line in the morning! From 8am at the main bus exchange on campus. Don’t go into the office and don’t do any work relating to your employment / contracted work on strike days. This includes administrative work: i.e. not updating tabula, not accessing the University’s email servers, etc. It also means no marking. This is important, as some marking will fall within the period of the strike. UCU policy is to only work 7.5 hours on non-strike days; that means that it is not the intention that employees / workers will catch up with marking and emails on non-strike days through excessive work. If this means that students will not receive their essays back in time, then this is a consequence of the strike. Participation in seminars and events that would be part of your normal work schedule is also covered by the strike. STP workers are under current contractual arrangements required to notify in advance, as stated above under 6. During strike days, UCU official advice is to refrain from logging on to the University’s email servers. 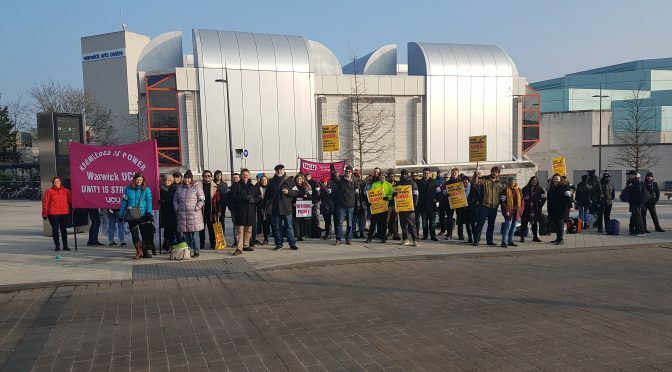 In order to stay up to date with all the strike developments on social media, make sure you follow the Warwick UCU Facebook page, ‘Warwick Student Staff Solidarity’ facebook page, ‘Warwick Anti-Casualisation’ Facebook page, and the Warwick UCU twitter account (which is full of great gifs)! 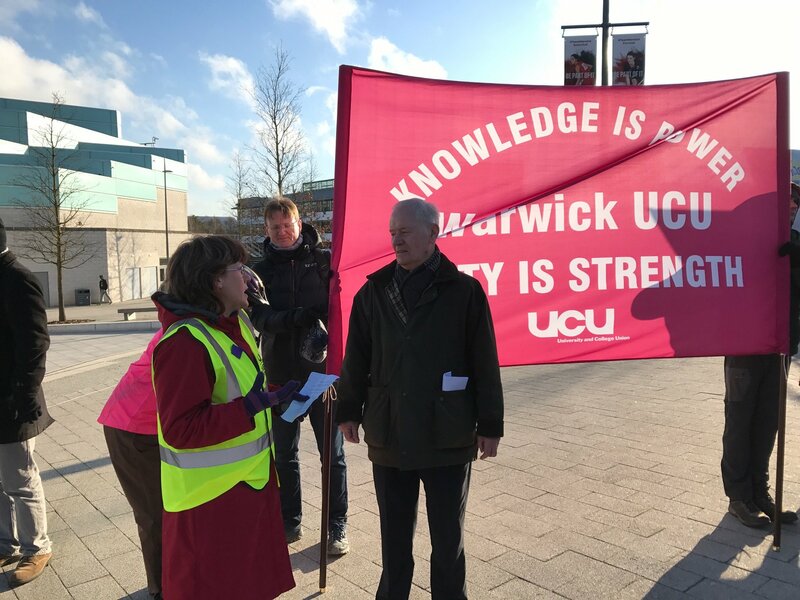 We will be uploading any new info on to the Warwick UCU website: http://warwickucu.org.uk, and we’ll continue responding to any queries on anticasualisation@warwickucu.org.uk. Warwick UCU has decided to set up a local hardship fund. The branch has donated funds to this, but we are also seeking donations from members. We are particularly directing this appeal for donations to our members who are either on leave or who are otherwise not expected to be part of the action. The local Hardship fund is designed to complement the provision from the National Fighting Fund, and where possible to fill in any potential “gaps”. It will prioritise members on hourly paid and other precarious contracts, and support people who would be left financially vulnerable after deductions. The policies and procedures can be found below. Please direct non-members to this page which asks if they can make a small donation to support their Union colleagues to protect the pension scheme that they are also part of. Donations can be received by bank transfer or cheque. Warwick UCU Strike committee has decided on 21/02 on the following principles of policies and procedures. – UPDATE – We have now opened the fund for applications for weeks 3 and 4, too. Please be aware, however, that we must apply a maximum limit of payments of £500 overall, same as the national strike fund, except in exceptional circumstances. 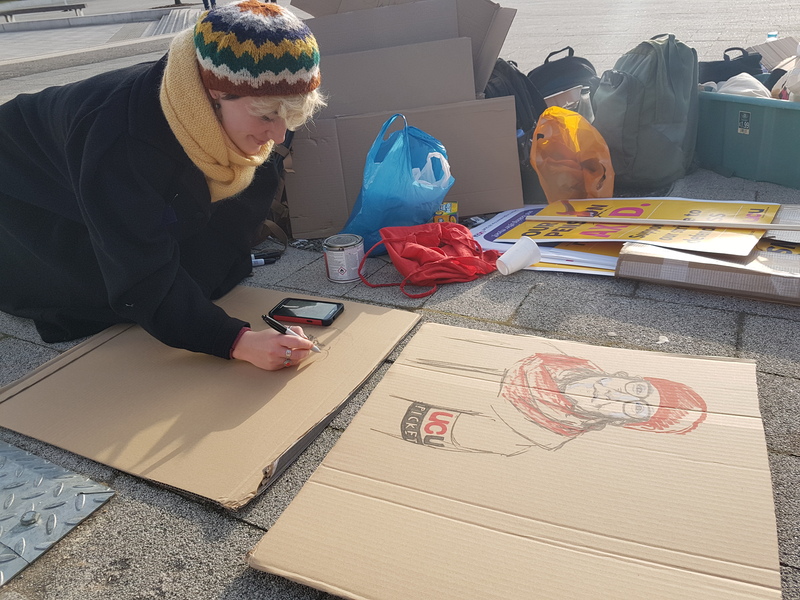 The local hardship fund will prioritise those whose annual incomes will be particularly proportionally affected by taking strike action, especially hourly paid tutors or those on other precarious contracts. Applications from those who do not have access to substantial forms of other, non-affected income (e.g. scholarships) will be prioritised. The fund will aim to interpret national rules and limits flexibly so as to make them as responsive as possible to members’ circumstances. This includes: paying strike pay from the 1st day of strike action; and interpreting flexibly the rule of a £50 cap per strike day. This will be interpreted to mean that each day where the strike occurs and where no work has been undertaken, will be treated as a strike day, independent of whether there was formal work scheduled on these days. 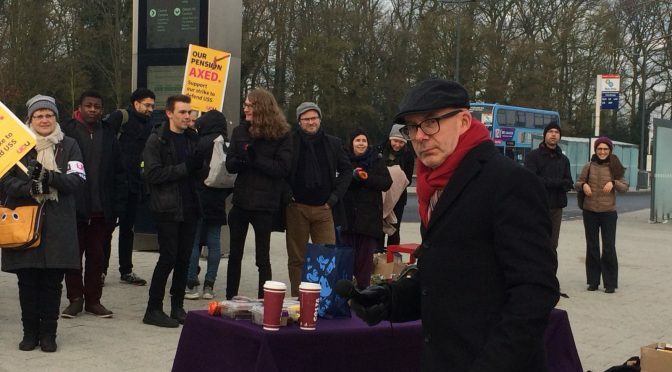 For example: a tutor who only has classes scheduled on a Friday, who would earn £150 on a Friday as their only weekly income and loses this as a result of striking on that day, would therefore be able to apply for up to £150 if they have participated in the strike on the days from Thursday to Monday (i.e. £50 for each day of strike participation). These amounts (£50 X number of days of strike participation) are the maximum amounts to which members can apply for; however, there is no guarantee that we will be able to pay those full amounts. That will depend on the amount of claims received and funds available. We are trying our best to raise funds, but if the fund resources should remain low, the hardship fund will concentrate its funding on the first two weeks of strike action (and to a maximum of £250 per person; and we will then support members’ applications to the national fighting fund for the remainder of the strike duration. There will be no first come first serve handout for payments, but a deadline for claims advertised that will ensure fair treatment, while it will be possible to get urgent treatment. However, it is very likely that no payments can be made before the University has made payments and losses can be shown. To apply, follow this link for weeks 3 and 4, and this link for weeks 1 and 2. 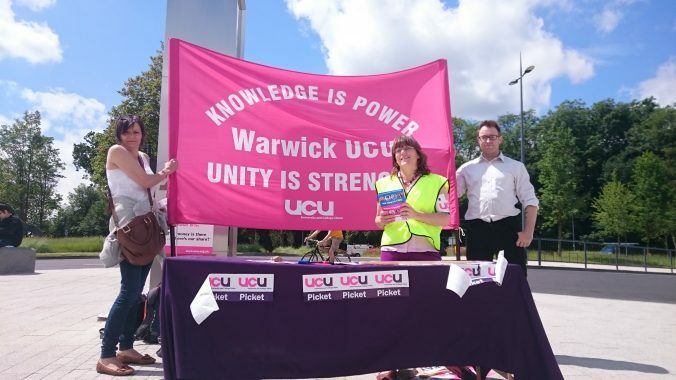 On Friday 24th June, Warwick UCU setup their stand at the entrance to the University of Warwick. This coincided with the University Open Day and was a great opportunity for Union members to speak to prospective students and their families. There was a great deal of interest from our visitors, and there were some lively and positive discussions around casualisation, pay and the gender pay gap. 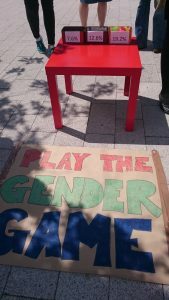 People played the ‘gender game’ where they guessed the pay gap and then tried to throw a ball into the correct pot. We were joined by comrades from Coventry University and Birmingham University for speeches and a photo. 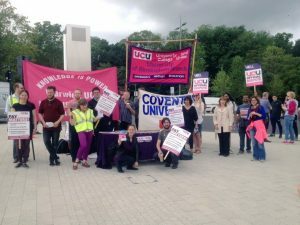 Members of the University and College Union (UCU) at the University of Warwick will be on strike on Friday (24 June) as part of a wave of nationwide strikes in a row over pay and conditions. Striking staff will be on picket lines outside the Bus Interchange on Gibbet Hill Road between 11.30am-2pm. The dispute has arisen following a pay offer of just 1.1% from the universities’ employers, the Universities and Colleges Employers Association. 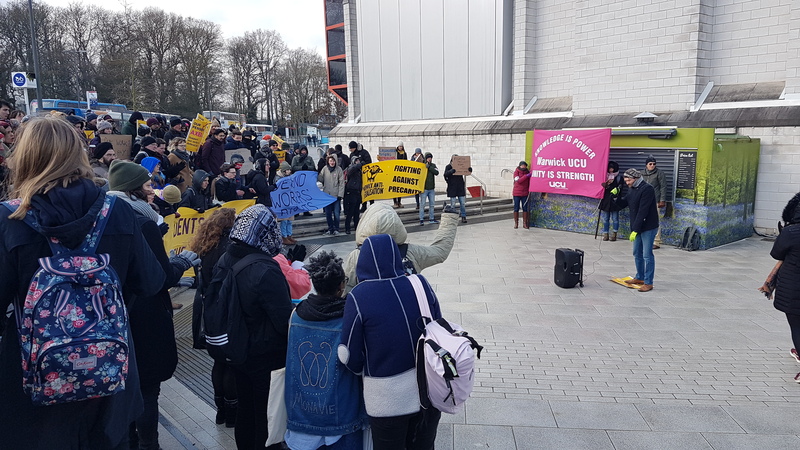 UCU said universities can afford to pay more and the offer did little to address the real-terms pay cut of 14.5% that members have suffered since 2009. The squeeze on staff salaries comes despite vice-chancellors enjoying a 6.1% pay hike. The union has also called for universities to commit to closing the gender pay gap and reducing the proportion of staff on casual and zero-hours contracts. 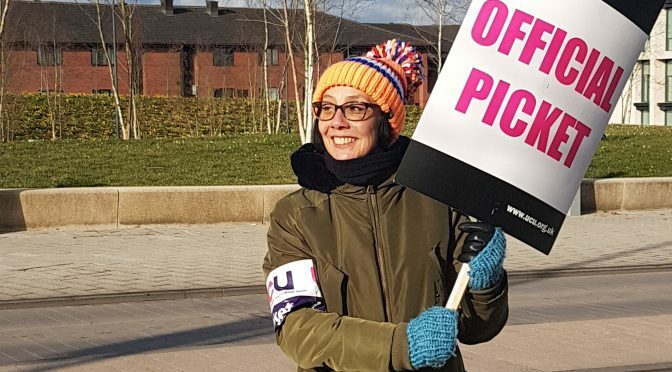 On average, female academics are paid £6,103 less a year than their male counterparts, while 49% of university teachers are on insecure contracts. At Warwick, in 2013/14, the gender pay gap for academic staff was £11,331. 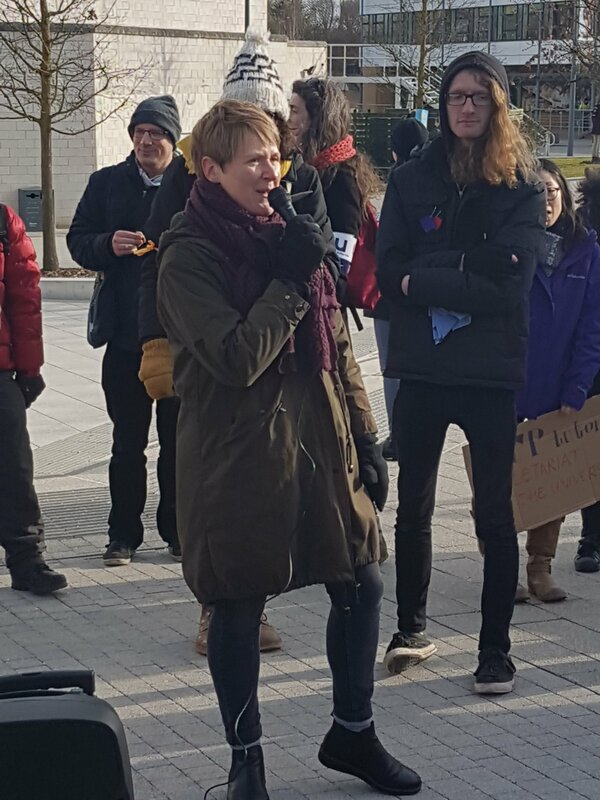 Warwick UCU branch president, Justine Mercer, said: ‘We want to use this opportunity to tell prospective students and their parents more about the changing nature of higher education, emphasising that our working conditions are students’ learning conditions.